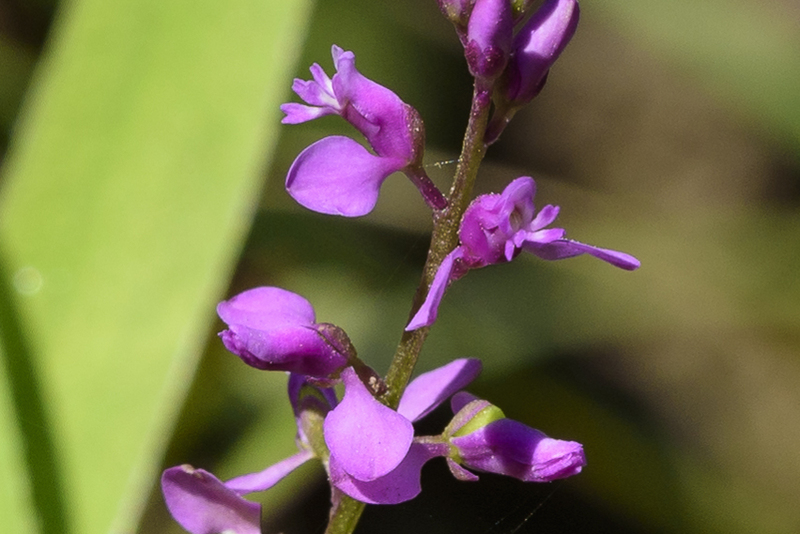 “Wings,” I thought, zooming in on a not-too-clear picture of tiny purple flowers. Those little flowers look like birds about to take off. Could this plant be in the pea family (Fabaceae)? 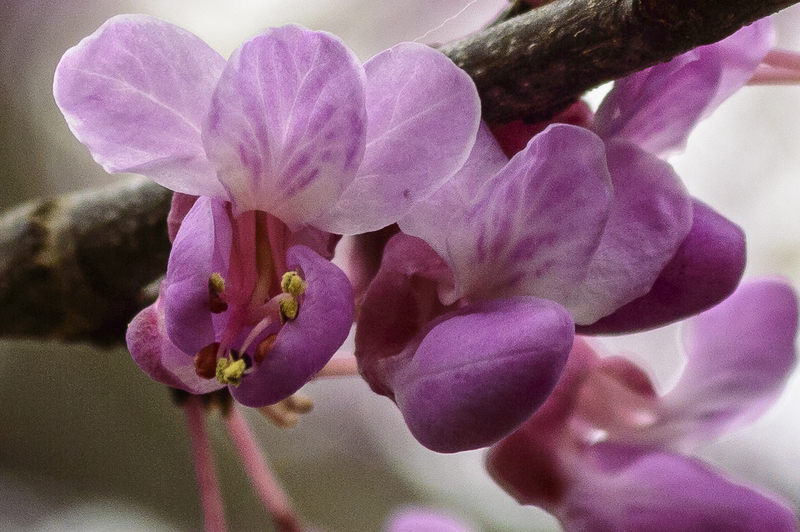 It does look a little like redbud (Cercis canadensis). 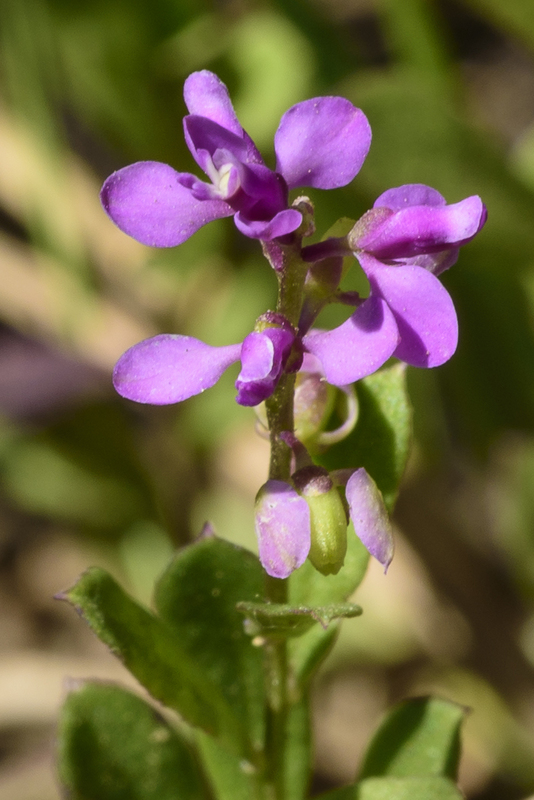 Or naked-flower tick-trefoil (Hylodesmum nudiflorum). But just a little. And the leaves are all wrong for something fabaceous. Orchid? The flower is a little orchid-like, but the plant just doesn’t look orchidy. So for the first time in many months I opened Newcomb’s Wildflower Guide and used the keys to identify it. And then I went back to the site to get better pictures. 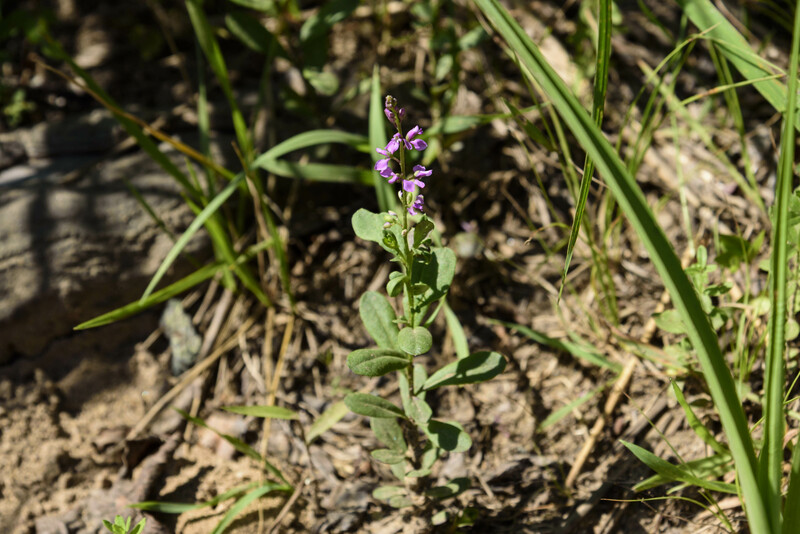 It’s Polygala polygama, commonly known as racemed milkwort, bitter milkwort, and purple milkwort. 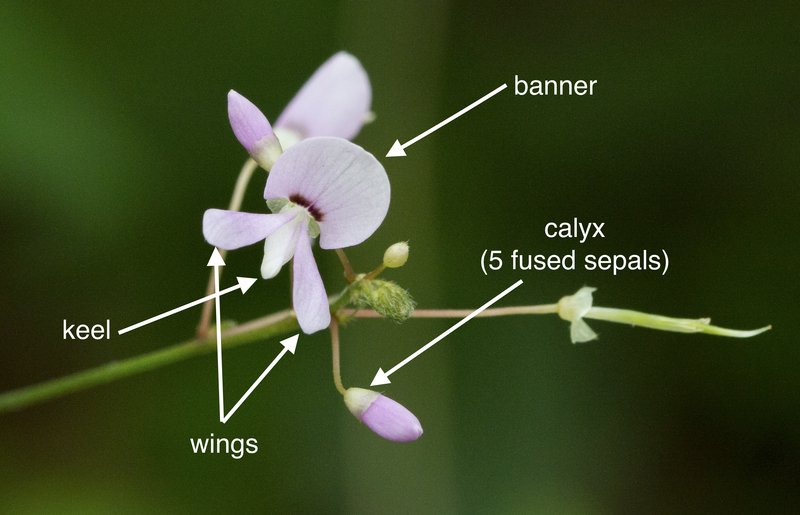 Petaloid sepals, often called wings, are characteristic of flowers in the Polygalaceae. Typically the flowers have three petals and five sepals. The petals are fused, and the lower one is called the keel (as it is in fabaceous flowers), and it’s frequently fringed or lobed. 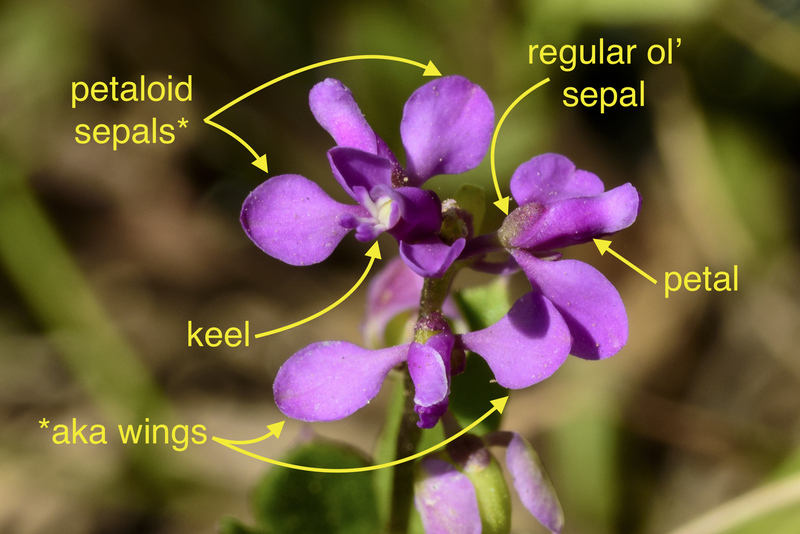 Three of the five sepals look more or less like typical sepals, while two lateral ones are more petal-shaped and colored. 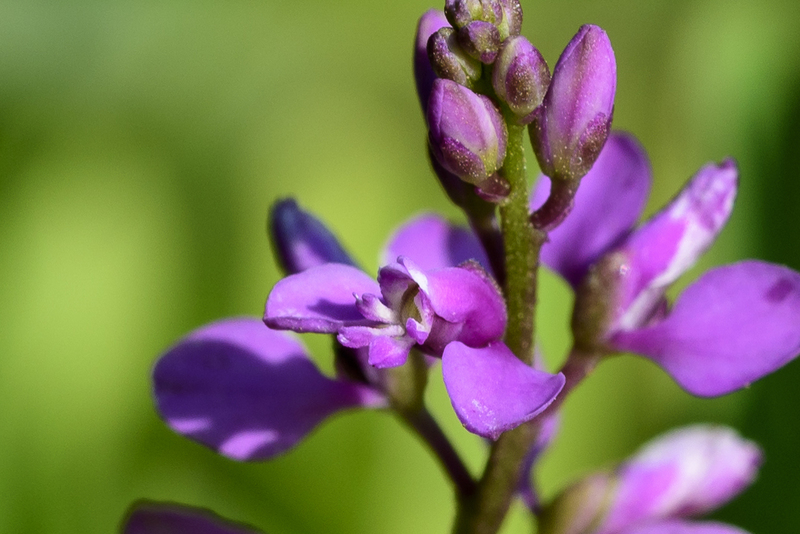 Racemed milkwort is a short biennial forb that likes full sun and sandy soils. The flowers are no more than a quarter inch across. 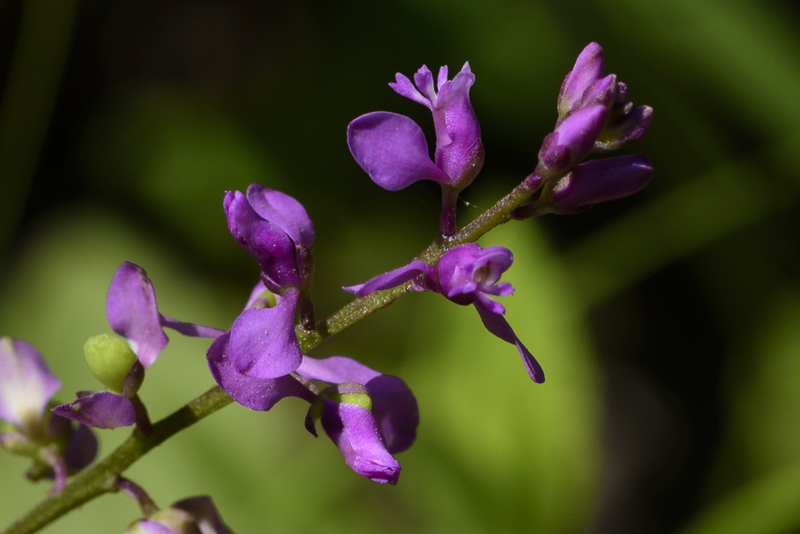 It’s native to eastern North America, where it grows in scattered populations in the South and Mid-Atlantic; it’s more common in the upper Midwest and New England. The Maryland Biodiversity Project has records for it in Allegany, Washington, Montgomery, Prince Georges, and Charles counties. The Maryland DNR lists it as S1 (highly state rare) and threatened. It’s also threatened in Kentucky and Ohio, and endangered in Iowa and Pennsylvania. 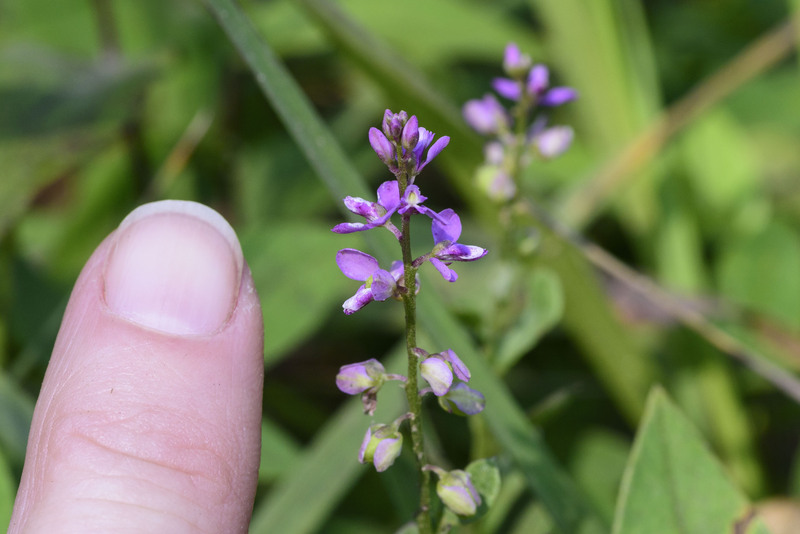 This species is one of eleven milkworts found in Maryland. All are native, and most are found only in the coastal plain. 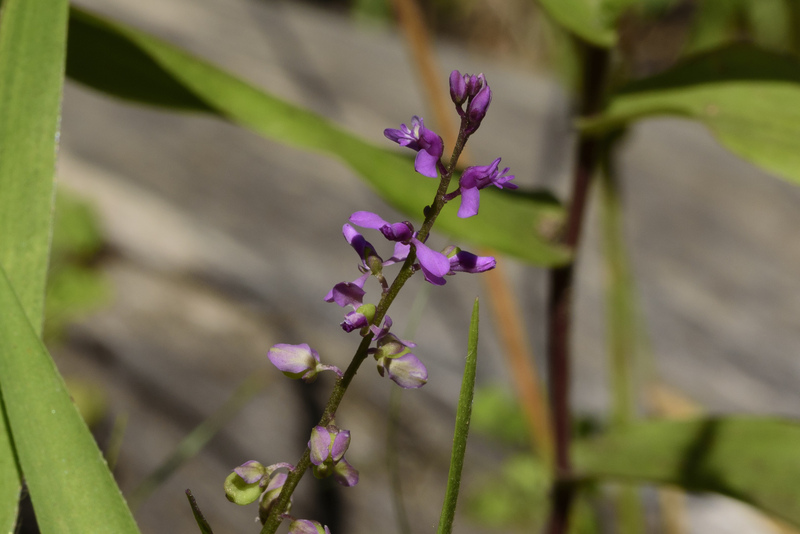 This entry was posted in Uncategorized and tagged milkwort, Polygala, Polygalaceae by elizabeth. Bookmark the permalink.